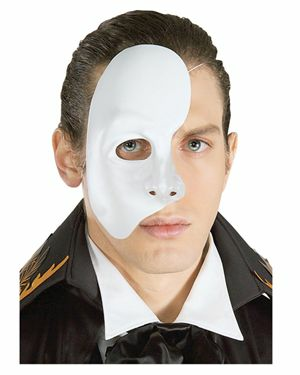 Everyone will be wondering who the handsome man is behind this white phantom 1/2 mask. Made of vinyl material. Hand wash only.